471-473 Paisley Road, Glasgow. G5 8RJ. Tel: 07447 406635. From 1885 to 1894 this was the site of the Glasgow Coffee House. James Henry Roger of Rogano Ltd then took it over as a store for his Spanish Wine Cellars. A certificate was granted to sell liquor here around 1910. 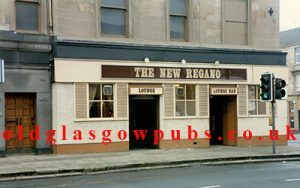 The new the New Regano was spelt differently as the pub couldn’t use the same name as Rogano in South Exchange Place when the Grant family owned it. 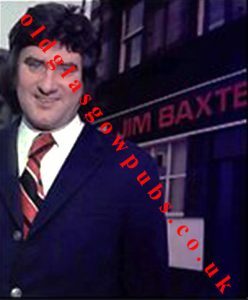 Slim Jim Baxter Rangers football team fame took over the licence in 1970. 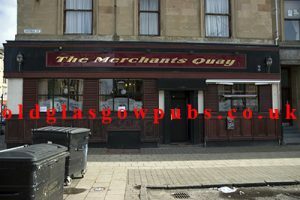 The pub was situated at the corner of Paisley Road and Admiral Street. 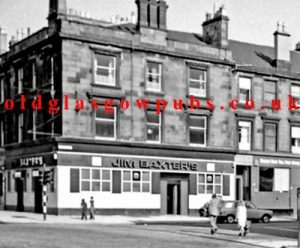 Jim Baxter granted a pub licence in October 1970. 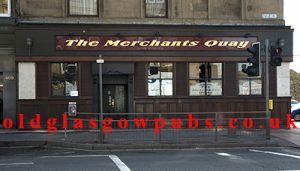 A former Scottish international footballer, Jim Baxter was granted a public house licence at the Licensing Court in Glasgow. 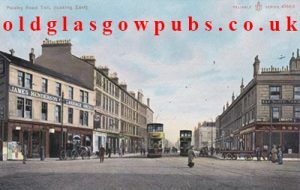 The not so slim Jim who was 31, will be mine host at the Rogano Public House, at the corner of Paisley Road and Admiral Street, at Paisley Road Toll. The court was divided after hearing objections to the application from Glasgow chief constable, Sir James Robertson. But the licence was granted by eight voted to five. Sir James said that Baxter was convicted of a road offence in August last year, when he was fined £25 and disqualified from holding a driving licence for 12 months. Mr Jim Baxter outside his pub. An agent for Baxter said that Mr. Baxter was a personality not unknown in football circles and was a member of a famous Glasgow Club for a time. At the time of this offence Baxter had been engaged in an exhibition match in Dunfermline. During his career Baxter left Ibrox Park for Sunderland, and later was transferred to Notts Forest for £100,000. Eventually he was given a free transfer and was signed for Rangers by the then manager David White. He failed to make his mark in the team. however, and was given a further free transfer from the Ibrox Club. At the same court the Plaza Ballroom at Eglinton Toll, were given permission to sell drink on the premises. Until to-day they had a restricted licence allowing them to serve drink only with food. A similar release from a restricted licence was also granted to the Albert Ballroom in Bath Street and to Johanas which is also part of the Albert. The only provision at both the Albert and the Plaza was that there would be an age restriction of 18. 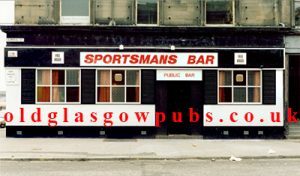 The pub was later known as the Sportsman’s Bar. Today 2006 the name above the door is now Merchant Quay. We gave The Union Bar a visit on the 3rd September 2016. 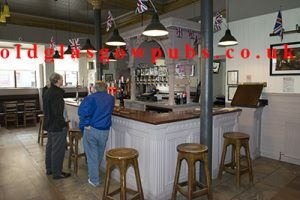 The pub was very clean and looked like it was just opened the day we went in. The old wood carvings around the doors are still intact. 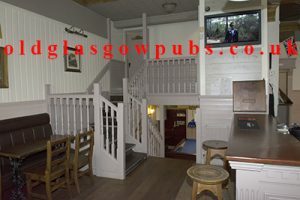 The owners of the Angel across the road took over the old Merchants Quay and cleaned the interior a few months ago. 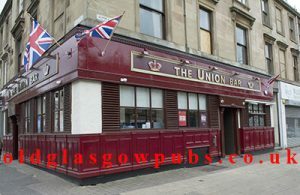 The Union Bar from Admiral Street, the Gold lettering looks good against the crimson background. 2016. Interior view of the bar 2016. Another view of the interior main bar. 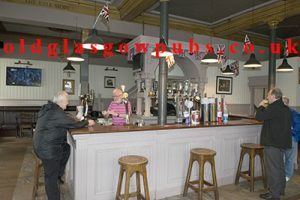 The main bar is quite small for the size of the pub. That means there is more foot space for customer when Rangers FC are playing at Ibrox. 2016. This view of the bar shows the pool table and lounge area. 2016. Postcard showing Rogano on the right hand side of Paisley Road. Do you know anything about this old pub? If so please leave a comment and we will post your review.